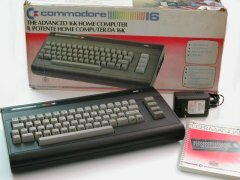 The C16 is a computer system with a keyboard, external power-supply and a motherboard. On the motherboard you will find a MOS 7501 (8501) processor, RAM / ROM memory and a MOS 7380 / 8360 TED video, I/O and audio. The C16 is a part of the 264 series. Commodore wanted to fill a gap next to the popular C64 with a cheaper computer as a successor of the VIC 20. Because it lacked sprites and a SID it was not popular with game developers. The C16 was promoted as a starter computer and as a computer for in school. PAL version. 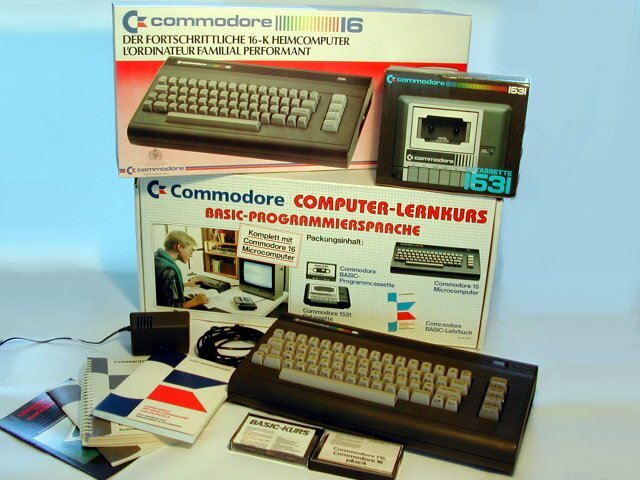 The Commodore C16 in the German BASIC Lernkurs edition.